Overlooking a meandering river, the retreat lodge sat, looking like a peaceful bed and breakfast, a place to rest and read a book, or to watch the sun set over the ravine. But inside the rustic walls, I could almost hear the animated voices of the many educational and informative sessions that came before. This was a place of learning and sharing and as I unpacked, I felt my anticipation grow. So many things stand out from my time with these incredible volunteer leaders. From the thoughtful way they looked at workshop scenarios to the humor and encouragement they shared with each other, there was a spark of electricity in this serene place. One evening, a storm rolled over the countryside and we sat on the porch, watching the spider fingers of lightening illuminate the clouds. It was a fitting scene for it mirrored the ebb of creativity that crackled across the room each day. Every one of their discussions pointed to excellence, and were about providing the best possible volunteer experiences for not only the volunteers, but for the patients and their families as well. It was so encouraging to hear a message of support from their passionate senior manager and it was invigorating to hear them wish to help non-volunteer department staff understand the importance of working with volunteers. And here’s the thing from within these walls of wisdom: We, volunteer managers and leaders have so much in common. A few questions or comments took me way way back to my first days as a volunteer manager. But I got their meaning right away because I had the same questions and feelings too. 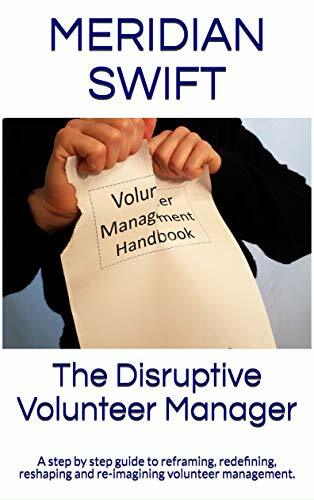 So much has changed over the past twenty years in the field of volunteer management, but so much is still the same. We may recruit differently now. We may use social media more now. We may work with newer generations now. We may rely on risk management more now. We may have many more reports and stats to compile now. But we all still feel incredibly privileged to work with such selfless, talented and inspiring human beings. We still worry that we aren’t doing enough to keep our volunteers. We still struggle with keeping chaos at bay. We still have a way to go to help people understand the complexities of our jobs. But we are not alone. There are so many of us out there, working to elevate our profession and to ensure that volunteers and volunteer programs receive the recognition and support they deserve. It doesn’t matter if you are new to volunteer management or if you’ve done this for many years. There are insights to glean and practices to learn everywhere and from what I’ve found, we are a group of folks who are willing to share our successes and challenges. What value does peer to peer relationships have? Why do we feel energized after peer group meetings? Well, since childhood, unless we grew up alone, peers have had an influence on us. Most of the influencing throughout our lives comes from family, friends, acquaintances and fellow workers. And for volunteer managers, those influences may not really understand our challenges. Peer to peer is like taking a vitamin. We need it. Our professional bodies thrive on it. 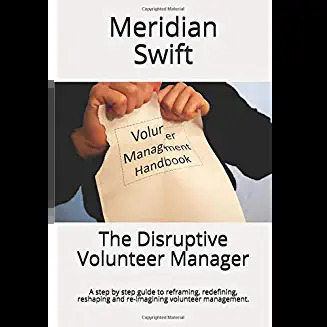 And as more online volunteer manager groups grow and more peer group meetings happen, we will see a stronger, more robust community of volunteer management leaders. I have this image in which we are all gathered on a shared porch, looking up into the sky where we can send out flashes of bright light to one another through the clouds. And, as peers, together, we can retreat forward, to excellence. Retreats should be compulsory for managers of volunteers, so that a period of reflection and the electric energy that comes from being with peers, propels us back into the real world. That’s going forward, with excellence. For every volunteer manager out there – you are not alone! Thank you Sue and Eileen! Engaging with peers is a fantastic way to motivate and encourage each other. I think we should book a cruise for volunteer managers and all spend a week at sea, sipping Martinis and recharging our VM batteries.